After the announcement of a new notification feature, much like that used by Facebook, JT Foxx encourages other entrepreneurs to actively use LinkedIn for networking and business growth. 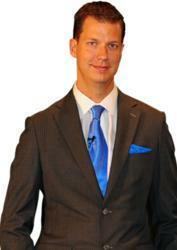 JT Foxx encourages other entrepreneurs to use LinkedIn after its recent addition of updates. According to a Business Insider article posted this week, LinkedIn has launched several new updates that appear to be similar to the functionality of Facebook. The main update is a “Notifications” drop down from the toolbar, which allows users to see their likes, views, and invitations that were accepted. The update is part of LinkedIn’s encouragement that users continue to engage with their network. The notification feature on LinkedIn was introduced September 5th, but may not appear right away for some users. Although the main purpose may be to help users interact with each other, it is also a good way to encourage users to visit the social media website more frequently. According to Forbes statistics, LinkedIn makes $1.30 for every hour users spend on their website. As LinkedIn becomes more similar to Facebook, it also becomes increasingly popular, thus making more profit for LinkedIn. As LinkedIn becomes easier to navigate and use for networking purposes, it also becomes more important for business owners and entrepreneurs alike. As a serial entrepreneur, JT Foxx encourages others to use LinkedIn in order to cultivate business relationships, whether they are ongoing or brand new. LinkedIn is a social network specifically for people with professional occupations, so it is especially significant for those in the business world. Using LinkedIn is important for entrepreneurs, business owners, and for anyone in a professional field. It is a great way to network with those in a specific industry, to meet colleagues, or to reach out to potential customers. One should make sure that their LinkedIn page is professional in appearance, and appealing in content. For an example of a LinkedIn page that is functional and professional, one can visit http://www.linkedin.com/in/jtfoxx.